Well, that didn’t last for long. 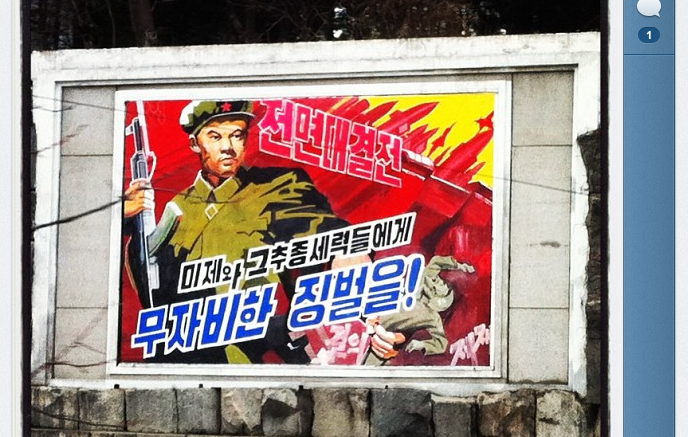 Short-term tourists entering the DPRK can no longer get mobile Internet service, according to Koryo Tours. “3G access is no longer available for tourists to the DPRK. Sim cards can still be purchased to make international calls but no internet access is available,” the Beijing-based North Korean tourism specialist said in a short notice on its website. After requiring for years visitors to give up their cell phones as the entered the country, North Korea changed its policy in February and began allowing the devices in. Coinciding with the change, Koryolink started offering prepaid SIM cards to tourists (resident foreigners had been able to use the network for some time). A month later Koryolink, which is the only 3G network operator in the country, began offering mobile Internet service. The voice calling rates aren’t too far out of line with the international roaming rates users might expect, but the mobile Internet rates were truly impressive. China’s Xinhua first reported data charges of between 150 euro for 2GBs to 400 euro for 10GBs. Those rates were subsequently confirmed. The high entry price didn’t stop some from buying the service. 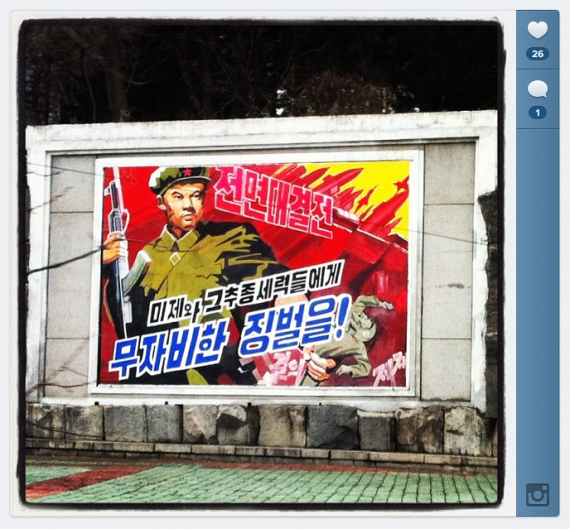 In fact, Koryo Tours was one of the fastest adopters of the mobile Internet, using it to Instagram from the DMZ and streets of Pyongyang (see, below) or sending live video. What killed the service for tourists? There’s no hint in the Koryo Tours post, but I wouldn’t be surprised if the ability of visitors to send pictures and video in realtime from inside the country, and the subsequent international interest in each Instagram, Tweet or video, wasn’t partly behind the decision. Control of information is one of the most important things in North Korea and perhaps the freedom it gave tourists spooked officials a little? It’s one thing demanding people delete photos if they captured something they shouldn’t have, but if the picture’s already been uploaded to the Internet then it’s too late. Long-term visitors and residents, to whom the service is now restricted, have more to lose from a reckless tweet than a tourist. Or maybe it wasn’t something so sinister. Perhaps it was just a technical problem. That’s all just guesswork. As with most things in North Korea, we never really know.